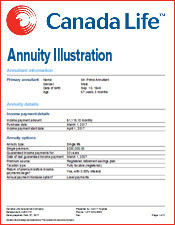 Does investing in an insured annuity make sense? Investing in an annuity can be a little intimidating especially if you have family members that depend on you for money. These contracts lock up a large portion of your savings and don’t offer the best payment plans after your death. 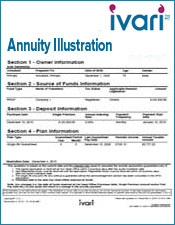 If you want to benefit from an annuity while protecting your heirs, an insured annuity is the way to go. 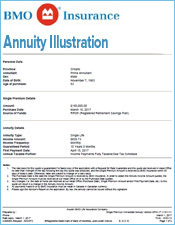 This is an investment strategy that combines an annuity with a life insurance policy to utilize the benefits of both plans. 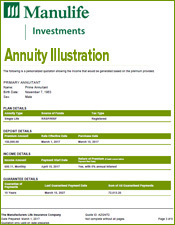 An annuity is an investment contract between you and an annuity company. 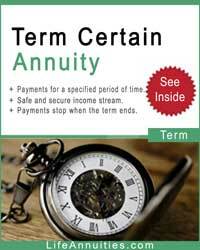 When you buy your contract, you deposit a lump-sum of money with the annuity company. 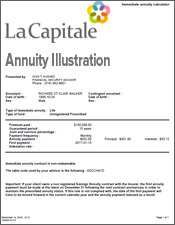 In exchange, the annuity company agrees to give you monthly payments for a certain period of time. 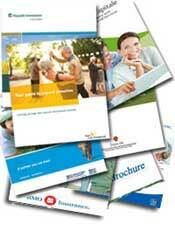 Your payout period can be a fixed period of months or can be based on your life expectancy. 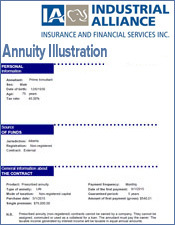 You can design your annuity so that it will make payments to your heirs. 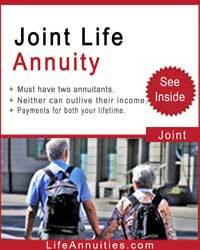 One option is to base a life annuity on two lives. 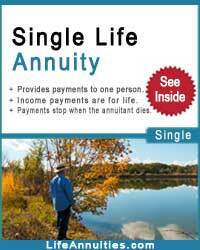 In this scenario, your annuity would continue to make payments as long as either you or the other owner is alive. You can also select a guaranteed minimum payment option. 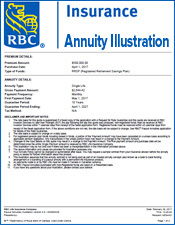 With this option, you annuity guarantees a certain number of monthly payments that will still be paid should you die early. The problem with these guarantees is they come at the cost of your monthly income. 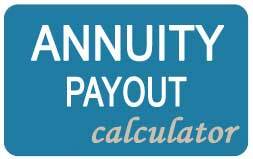 Any guarantee you add to your annuity reduces its monthly payout rate. 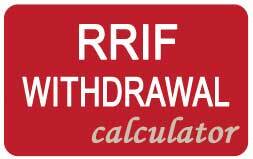 This forces you to compromise between protecting your retirement income and leaving money behind for your heirs. The problem with using your annuity to create an inheritance is it doesn’t play to the strength of an annuity. 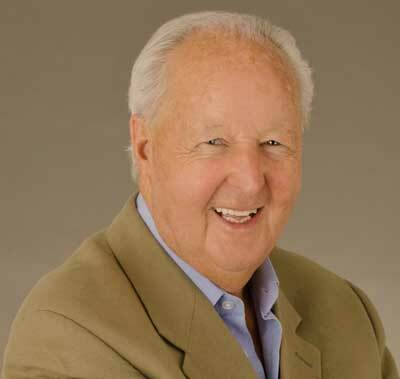 Annuities are great at generating income for your life, not your heirs. 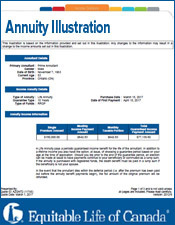 While you can modify an annuity to leave some money behind, it’s not the best idea. Instead, why not buy a life insurance policy along with your annuity? 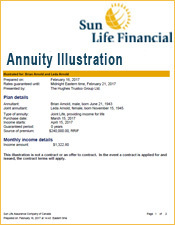 This way, you can have you annuity focused solely on generating income while your life insurance will create the inheritance for your heirs. 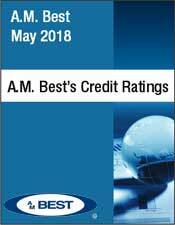 When you buy an insured annuity, you want to buy an annuity with the highest possible payout rate. 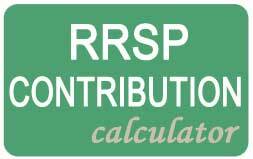 This is done by removing any minimum payout guarantees from your annuity, so it is based only on your life expectancy. At the same time, buy a life insurance policy that is large enough to handle your inheritance needs. 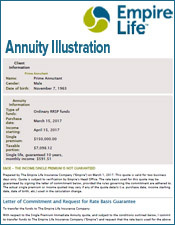 Your higher annuity income should be more than enough to pay off the life insurance bill while maximizing your retirement income. The only problem with this plan is you need to be able to qualify for life insurance. If your health is poor, you may still be able to buy a guaranteed policy with no health check. In this case, your life insurance policy will be smaller and may not be able to cover all the needs for your heirs. In	the case study below, your heirs can help pay for the policy. 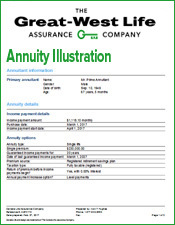 Creating an insured annuity by combining life insurance and an annuity is a creative solution to a common retirement problem. By properly using both products, you’ll be able to earn the highest possible retirement income while protecting your heirs against the financial loss of your death. 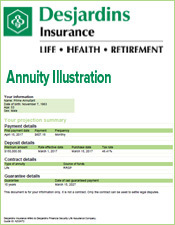 The annuity will provide $560.54 of monthly income. 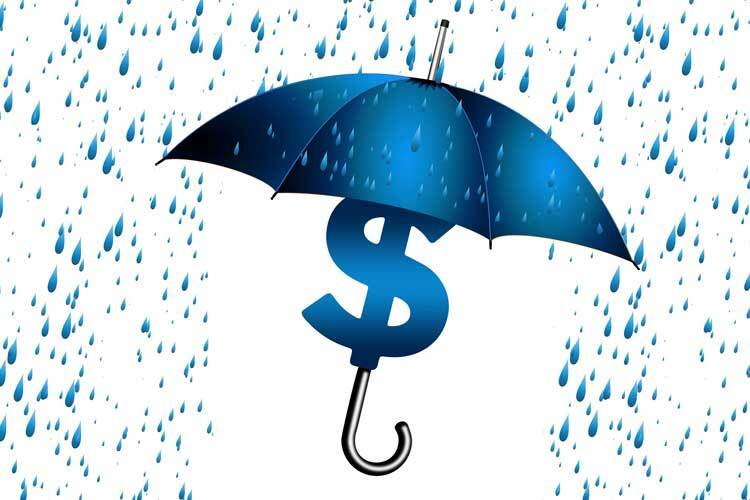 The term insurance would cost $251.88 monthly for a coverage amount of $100,000.